Daily Mirror - World Wildlife Day 2016 and Sri Lanka. 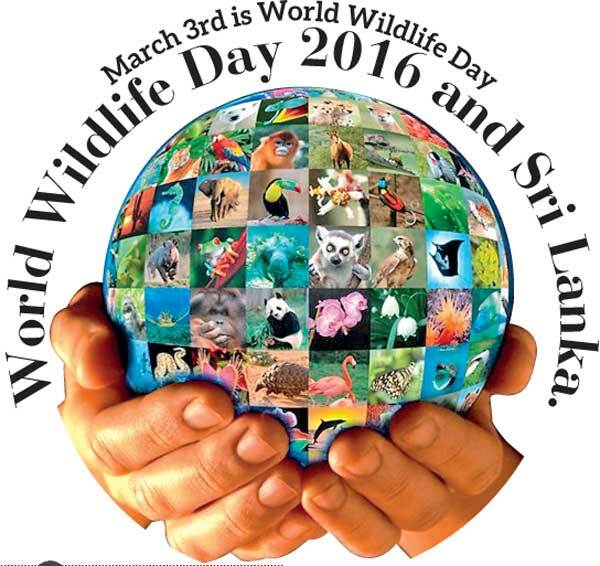 World Wildlife Day 2016 and Sri Lanka. World Wildlife Day 2016 is celebrated around the world on March 3rd under the theme “The future of wildlife is in our hands.” African and Asian elephants will be the main focus of the Day under the theme. On 20th December 2013, at its 68th session, the United Nations General Assembly (UNGA) decided to proclaim 3rd March, the day of signature of the Convention on International Trade in Endangered Species of Wild Fauna and Flora (CITES), as UN World Wildlife Day to celebrate and raise awareness of the world’s wild animals and plants. The biggest threats to wildlife are habitat loss as well as overgrazing, farming and development. Poaching and trafficking in wildlife driven by transnational organized crime-groups pose the most immediate threat to many iconic species. Elephants, pangolins, rhinoceros, sharks, tigers and precious tree species are among the most critically poached and trafficked species across the world.About 100,000 elephants were estimated to be slaughtered for their ivory between 2010 and 2012. If the current rates of killing of elephants continue they will become extinct in less than two decades. In Sri Lanka, 2016 World Wildlife Day is celebrated with much hope. There is more work to be done including joining the international community on cracking down the international illegal wildlife trade. On January 26th, 2016,on International Customs Day, Sri Lanka had its biggest wildlife-related event in its history and one of the largest events in the South Asian region when a blood ivory container(with 359 pieces) was destroyed, which had been forfeited in 2012 by the Sri Lanka Customs. The previous regime tried to steal the container in the guise of distributing the ivory among Buddhist temples. When the new government came to power in 2015 it renewed the hope of destroying the blood ivory, and that became a reality on 26th January 2016.Sri Lanka became the first country in the South Asian region to destroy blood ivory. Sri Lanka is considered to be one of the “Biodiversity hotspots in the world.”Sri Lanka is home to 2,936 fauna, 3,492 flora and 3,021 marine species according to the National Red List 2012. Sri Lanka harbours the world’s biggest terrestrial and ocean animals i.e. elephants and whales. In 2014, Sri Lanka declared its flagship on wild animals as “Top Seven Wild Sri Lanka” and the same year, the first World Wildlife Day was celebrated. “Top Seven Wild Sri Lanka”includes the Asian-Elephant, Leopard, Sloth Bear, Black necked-stork, Salt water Crocodile, Leather back Turtle and Blue Whale and it represents both land and sea. Top Seven Wild Sri Lanka are ‘protected’ or ‘strictly protected’ under the Fauna and Flora Protection (Amendment) Act, No. 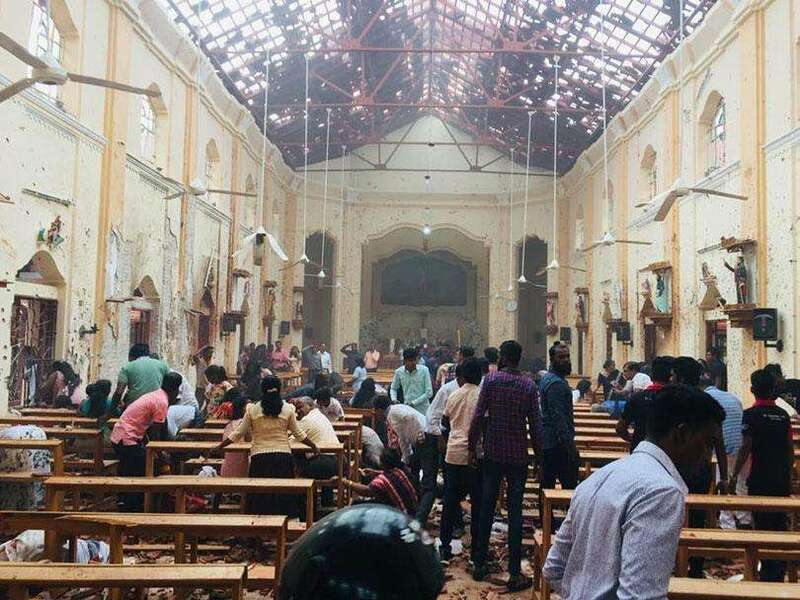 22 of 2009 of Sri Lanka. Most of the wild animals of Top Seven Wild Sri Lanka are listed as ‘Threatened’, ‘Nearly Threatened’ or ‘Critically Endangered’ by the International Union for Conservation of Nature (IUCN) and are also listed in the CITES. Sri Lanka needs to have a new Fauna and Flora Protection Act without any delay since the present one is out-dated. It was last amended in April 2009. Sri Lanka is currently making progress to introduce national legislation to implement CITES. Sri Lanka should become an active partner in cracking down the illegal international wildlife trade and the country should conserve its owned precious fauna and flora for future generations. If the current government does not safeguard the country’s fauna and flora, the nation will not save the planet’s fauna and flora for future generations.